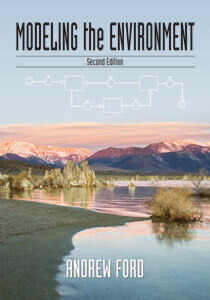 Modeling the Environment was the first textbook in an emerging field—the modeling techniques that allow managers and researchers to see in advance the consequences of actions and policies in environmental management. This new edition brings the book thoroughly up to date and reaffirms its status as the leading introductory text on the subject. System dynamics is one of the most widely known and widely used methods of modeling. The fundamental principles of this approach are demonstrated here with a wide range of examples, including geo-hydrology, population biology, epidemiology and economics. The applications demonstrate the transferability of the systems approach across disciplines, across spatial scales, and across time scales. All of the models are implemented with stock and flow software programs such as Stella and Vensim. These programs are easy and fun to learn, and they allow students to develop realistic models within the first few weeks of a college course. System dynamics has emerged as the most common approach in collaborative projects to address environmental problems. The stock and flow structures and the emphasis on feedback control provide a common language that is understood by scientists from many disciplines. Although the interdisciplinary approach described here is widely used in practice, there are few books to aid instruction. Modeling the Environment meets the urgent need for instructional materials in interdisciplinary modeling of environmental systems. Visit http://www.wsu.edu/~forda/AA2nd.html for valuable classroom materials.